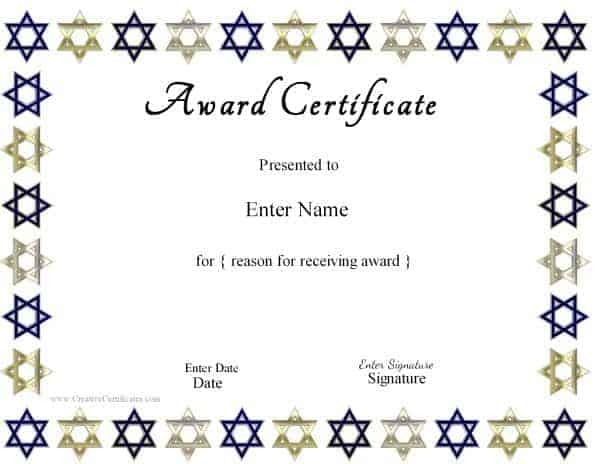 These awards were requested by Betsy. 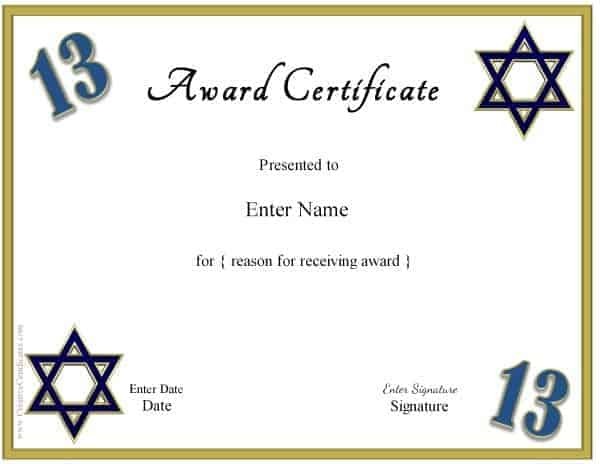 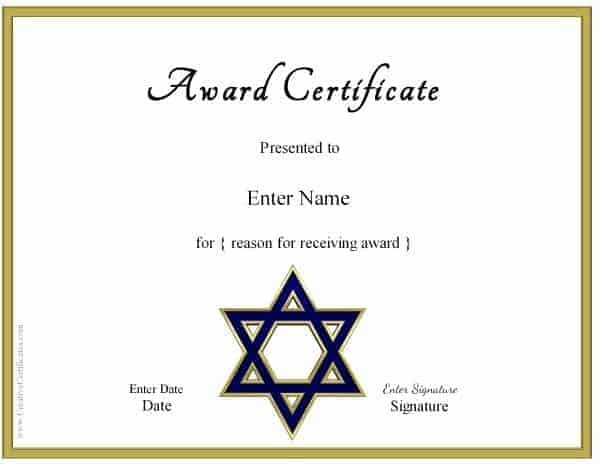 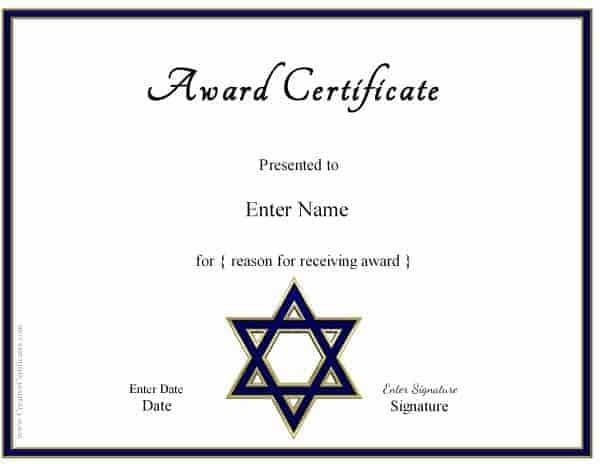 Each of these certificate templates has a border with a Star of David (Magen David). 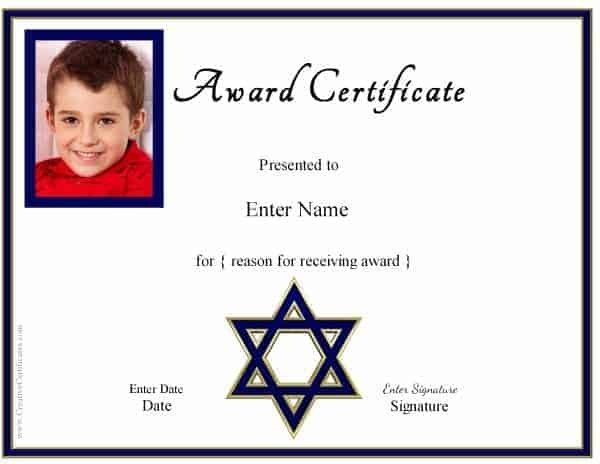 The text on these certificates is 100% customizable so they can be used for any purpose. 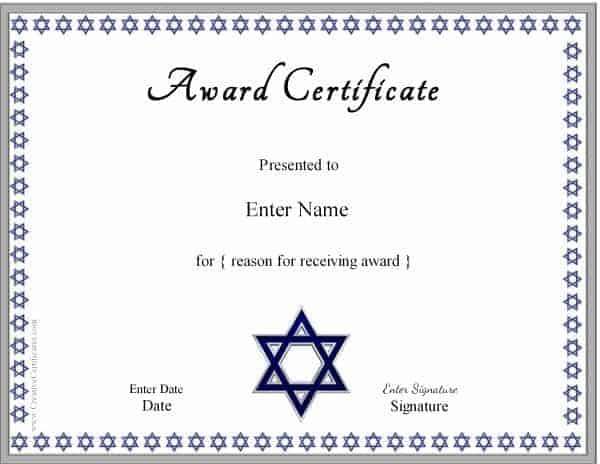 You can edit the text or add more text. 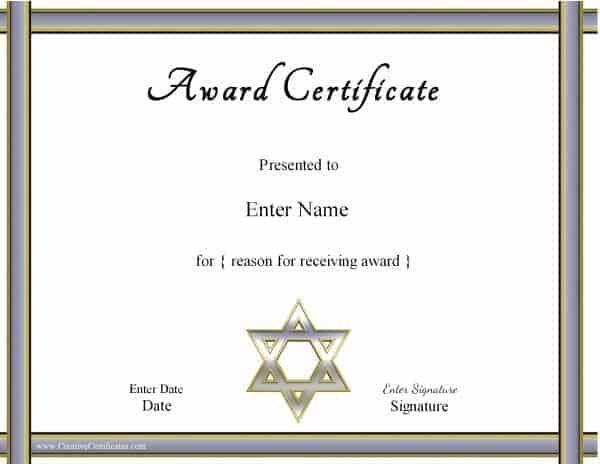 You can also add photos. 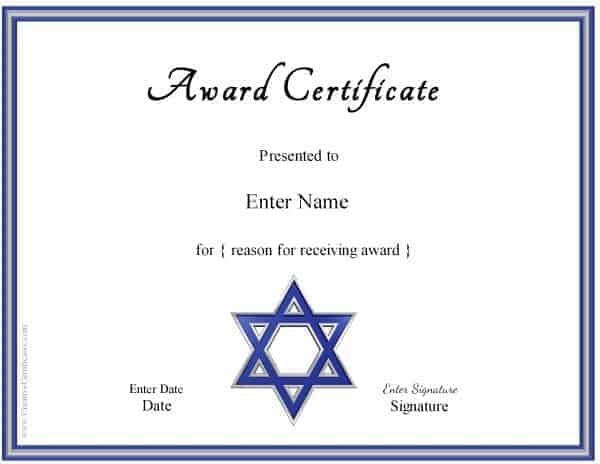 What can you use these printable Jewish certificates for?